It’s a heavyweight showdown as champion as the UFC returns to Brazil on May 14th for UFC198 in the Arena de Baixada in Curitiba. 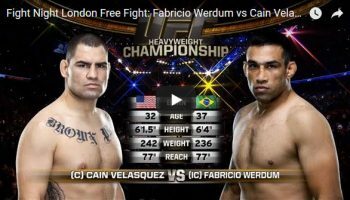 The largest event the UFC has ever put on in Brazil is expected to draw upwards of 40,000 fight fans as Fabricio Werdum takes on No. 2 ranked Stipe Miocic. 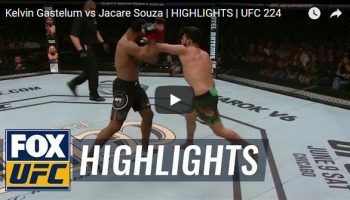 Plus, it’s an all-Brazilian showdown in the middleweight division, as former world champion Vitor Belfort faces off against submission specialist Jacare Souza. Opening up the main card, its Anderson Silva meeting up with dynamic striker Uriah Hall in a potential passing of the torch match up.